*Endorsed by Mike Read, UK Top of the Pops and ex Radio 1 presenter. 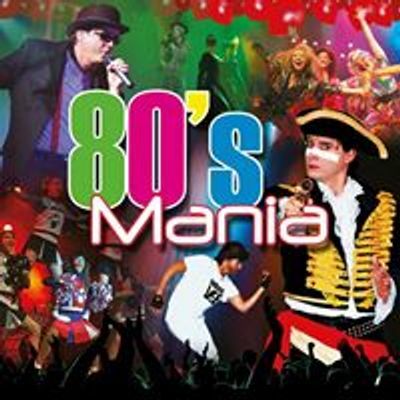 80’s Mania, Europe’s Premier 1980’s Multi Tribute Concert Show has been wowing 80's starved music fans for the last 10 years throughout the UK and Europe. 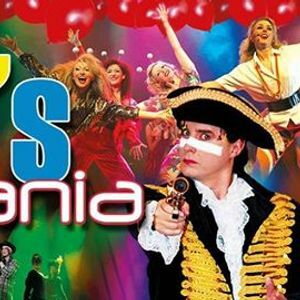 Performing over 35 chart topping smash-hits live in concert, with tributes to Duran Duran, The Human League, Kim Wilde, Culture Club, Madonna, Wham!, Nena, Toni Basil, Frankie Goes to Hollywood, Bananarama, Dead or Alive, Madness and many many more 1980's pop legends authentically recreated live in concert! • Now features a staggering 28 authentic tributes in one show! • Amazing laser and light show with huge production set and video screens. More and more audiences are taking the time to prepare and dress as their favourite pop stars, re-living their childhood memories that the 80's made so unforgettable. Make up fuelled New Romantics, Leggings and Leg-warmers, Stiletto’s, Shoulder pads, Big back-combed hair, neon, it’s all there! 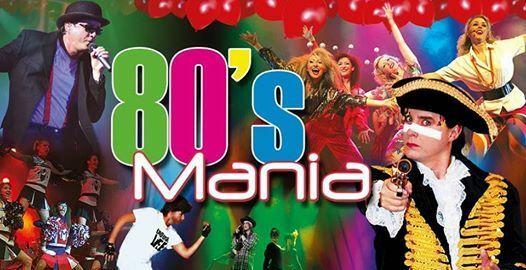 Hen parties, Stag nights, School reunions, couples and groups all come along to have a good night out, reminisce, sing, dance and clap along to their favourite 80's tunes. Don't miss this once in a life time 80's experience party! Duran, Human League, Culture Club, Wham!, Madness, Madonna, Spandau Ballet, Cyndi Lauper, Adam Ant, Bananarama included – features. Custom-produced dual-screen video projections, 150 colourful costume changes, more than 35 smash hits: this irresistible party spectacular stands stiletto-heels-like head and shoulders above the rest, a show bigger than the biggest hair the 80s had to offer. . .